If you walk or drive around Maryland, you will see people proudly displaying the State flag on themselves, their cars, and their homes. 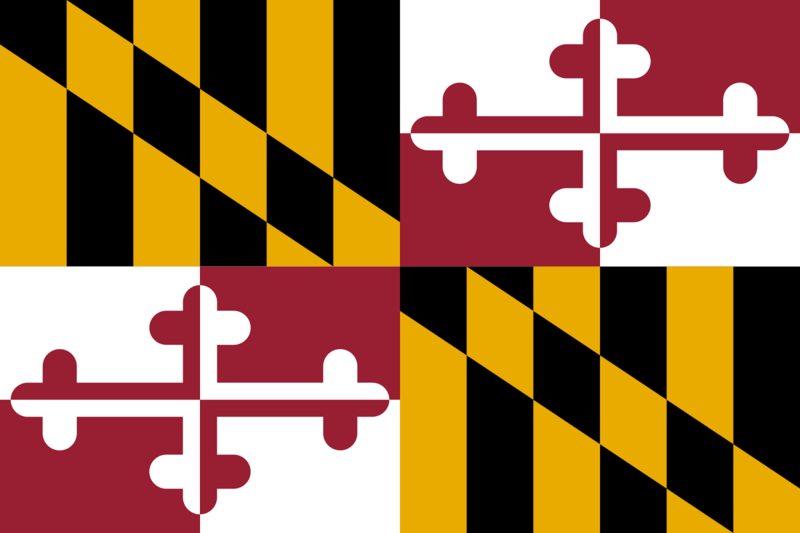 While many State flags are boring, usually just a seal on a blue background, Maryland's flag is unique and aesthetically appealing. However, many are unaware of the history behind the flag. gentleman, who lived in the valley of the Swale in Yorkshire, and whose wife, the mother of George Calvert, was Alicia Crossland, a lady of gentle birth, belonging to a family of the same neighborhood. The origin of the Calvert family has never been successfully traced. There were Calverts in Yorkshire as early as the fourteenth century, and it has been generally assumed that the family was of Flemish origin. 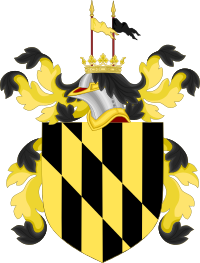 In the exemplification of arms issued in 1622 by Richard St. George, Norroy King of Arms, the original of which is now preserved in the collection of the Maryland Historical Society, it is stated on the authority of Verstegan, antiquary and philologist, that "Sir George is descended of a noble and ancient family of that surname in the earldom of Flanders, where they have lived long in great honor." The fact of the Flemish origin is probably true, but the date of the migration of Calvert's ancestors to England is unknown, and the means of tracing the genealogy to the Flemish family apparently did not exist; for instead of confirming to Sir George the coat of arms belonging to that family, as would probably have been the case if the identity had been satisfactorily established, the bearing of another coat, of different device, but composed of the same tinctures, was approved, with the crest pertaining to the Flemish family added. According to the commentators upon heraldry the six vertical pieces (or pales), into which the Calvert shield is divided would represent palings or palisades, and constitute the heraldic symbol of a stockade or fortification, which would be appropriate to one who had fortified a town or successfully stormed a hostile fort. The diagonal band, or bend, was held to represent either a sword-belt or a scaling-ladder. Taken in connection with the pales the latter meaning would more naturally be ascribed to it. The suggestion is that at some point in history, probably in Flanders, at least someone in the Calvert family was successful in storming a hostile fort and was rewarded with this coat of arms. It has been suggested that the pales and bend of the Calvert arms represented the warp and woof of a woven fabric, or a loom traversed by a shuttle, in allusion to the Flemish industry of weaving. But this theory appears to be as difficult of substantiation as some of the less prosaic interpretations derived from the mediaeval heralds. The Crossland arms present a cross upon a quarterly field. The relation between name and arms is sufficiently obvious. A quarterly field was said to represent a shield broken in battle, indicating that its budding cross depicted upon these arms was said to represent the budding virtues of a youthful champion. The Crossland arms are generally described as bearing a fiery cross, the ends of which are open and expanded like the upper half of a fleur-de-lis. This form differs but little in appearance from the cross bottony, and was described as representing in their full flower and development those virtues which the latter indicated as being in their bud and promise. The new seal bore on one side the Calvert arms, quartered with those of Crossland, Alicia Crossland having been the wife of Leonard Calvert, Cecilius' grandfather. On this seal, which is the same as the present great seal of the State, the first and fourth quarterings are: for Calvert, six pales or vertical bars, alternately gold and black, crossed by a diagonal stripe or "bend" in which the colors are reversed. The second and third quarterings are: for Crossland a quartered field of red and white, charged with a Greek (or equal-limbed) cross of the form called "botonny" or "budded;" the limbs terminating in a trefoil. 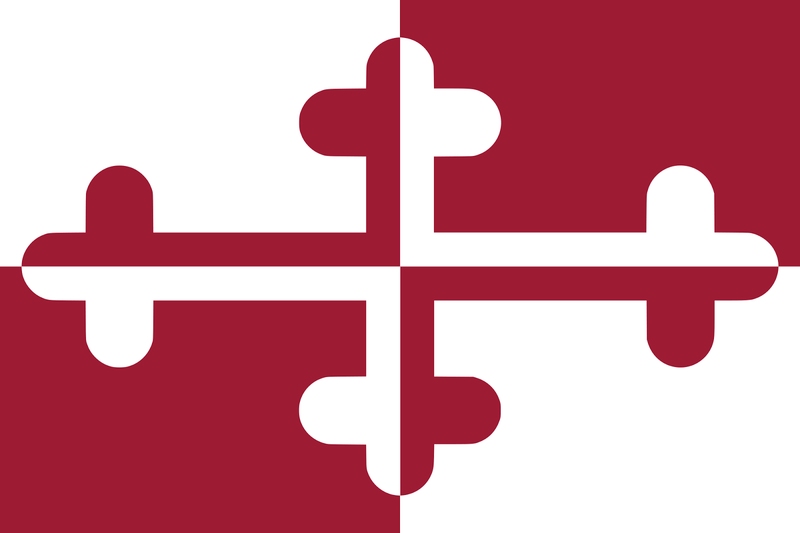 This cross is " counterchanged," as it is termed, that is, it is red on the white part of the field and white on the red. During the Civil War, Maryland was divided between those who wished to remain in the Union and those who wished to join the Confederacy. The division did not just divide friends and families, but also the State Seal itself. Union troops decided to march under the Black and Gold of Lord Baltimore's arms. 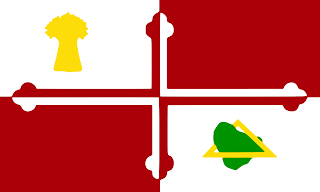 Confederate units adopted the Crossland Banner as their flag. It is not clear to my why this decision was made. It is interesting to point out that the Crossland Banner has not attracted the negative attention that other Confederate flags have. I believe that this is because the design was created centuries before the Civil War and should not even be considered a Confederate flag, on its own. Rather it was just one symbol that Confederates in Maryland adopted. Hate groups have not used the Crossland Banner, thankfully. Flying the Crossland is not seen as controversial as it has such a rich history and has a prominent place on our State flag. Indeed, ultra-liberal Howard County, uses the Crossland Banner on their county flag. After the war, as a sign of unity, the State seal was put back together and the State officially adopted its current flag in 1904. 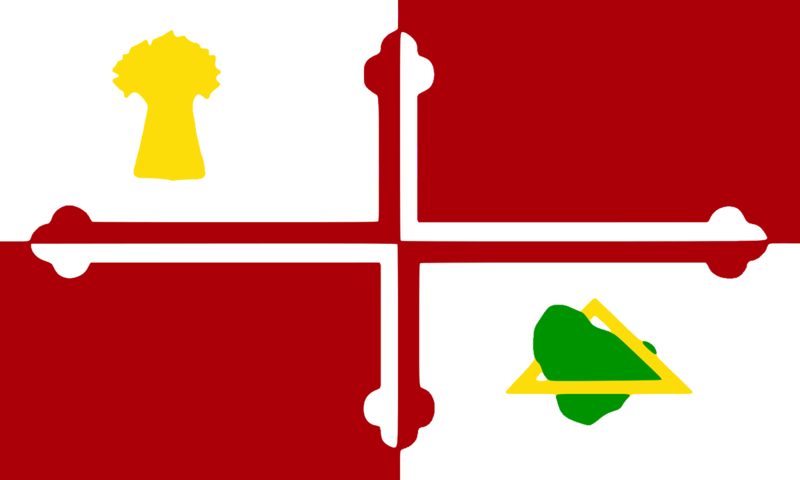 I was curious if one could buy the Lord Baltimore's Arms and Crossland Banner separately anywhere. I went to a local flag shop that sold me both flags, but at a very high price. 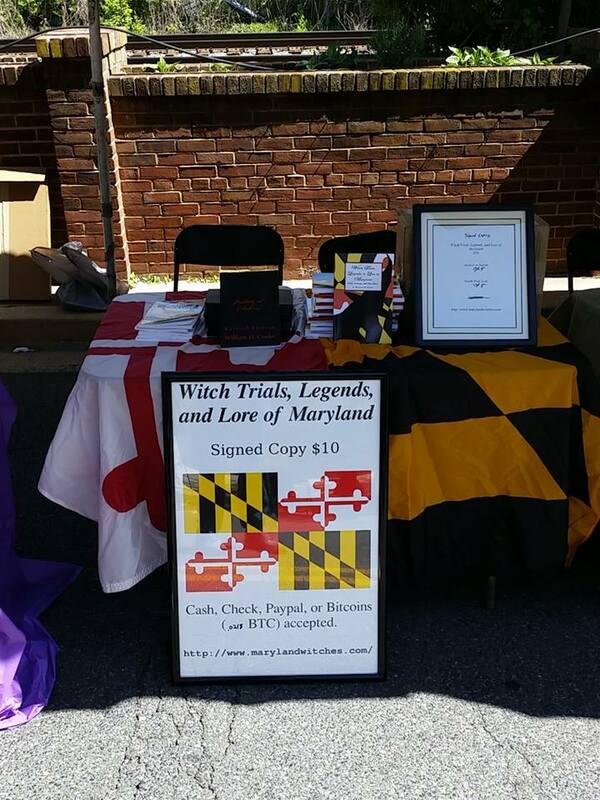 The Baltimore flag was in the $30s and the Crossland Banner was in the $50s, for just one flag. I looked online and found the Lord Baltimore flag on Amazon for just over $26. But I could not find a Crossland Banner flag. So rather than complain about it, I invested a good amount of money, had 1000 of them made, and mailed them to Amazon. If you look on the top right side of this blog, you will see a link to buy one for $14.99. 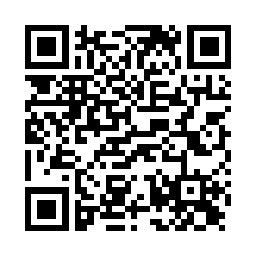 Or you can just click here. The flags were manufactured in China. My preference would have been for a local manufacturer, but I could not find one who could do the job and allow me to sell them at a reasonable price and still make a small profit. People may complain about China, but the people over there need to make a living too. Trade is generally beneficial anyway. So please buy a few flags, for yourself, family, and friends. If they sell, I hope to expand and sell some more hard to find Maryland flags.